Medical errors and medical mistakes range greatly regarding their severity. Sometimes medical errors do not have any long-term consequences, while in some cases they can be fatal. Medical negligence can occur at almost all levels of the healthcare industry, from laboratory mistakes to errors made by nurses, surgeons, and other practitioners. 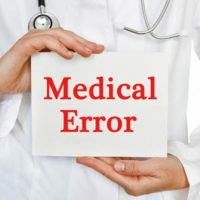 If you experience a medical error, what is the appropriate remedy? Should healthcare come with a warranty in the event that a medical error occurs? It is important to know that victims of medical malpractice may be eligible to file a claim for financial compensation. In addition to damages that may be available through a personal injury lawsuit, a recent article in Kaiser Health News suggests that, regardless of the severity of the injury, patients should also get their money back. Doctor’s visits and medical procedures cost a lot of money, and if a healthcare provider makes a mistake, the patient should not be responsible for paying for the negligent service. As the article contends, paying for healthcare that involves a medical mistake only “adds insult to injury.” It cites a patient who has now undergone six separate hip replacement surgeries (three for each hip), but the patient experienced problems as a result of medical errors. First, the implants did not work as they were supposed to function. Next the patient had “surgical complications.” Finally, one of the operations left her with “cellulitis, a bacterial skin infection that if left untreated can turn deadly.” Each of the hip replacement surgeries cost the patient approximately $5,000 in out-of-pocket costs. Some patient health advocates argue that patients who experience medical errors should not be responsible for the costs of their care. Specifically, as the article clarifies, “one recommendation is that patients shouldn’t have to pay for their care if they experience certain avoidable complications up to 90 days after surgery.” How would a system like this work? First, a hospital would have to agree to participate in such a program. Then, patients either would not need to submit a copayment, or they would receive a reimbursement for the copayment they had previously submitted. This kind of program would, essentially, provide a “warranty” for healthcare: if you do not receive what you paid for, you can get your money back. But does this kind of remedy for a medical mistake make sense? As the article notes, there are few “money-back guarantees” in current healthcare systems, yet some advocates insist we must look at the healthcare industry in much the same way we would a buyer-seller industry. If hospitals shifted to this model, they would provide a refund when a preventable error occurs. Systems like these do exist in small numbers outside of Florida, and some even go as far as to provide refunds when patients have customer satisfaction concerns. Such programs raise questions about who decides whether the mistake was preventable, as well as the scope of the patient’s remedy beyond a money-back guarantee. In the meantime, if you have questions about filing a claim due to a medical mistake, a West Palm Beach medical malpractice attorney can discuss your options with you. Contact Lesser Lesser Landy & Smith PLLC for more information.